Founded in 1987 STS is a renowned manufacturer of pressure transducers. 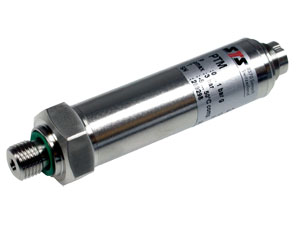 Alongside our range of Fuji High Accuracy Pressure Transmitters, the STS pressure transducers offer a high reliable alternative for less demanding applications. The piezoresistive sensor element provides a reliable, proven measurement technology at low cost. Versatile, STS transducers are available for pressure measurement up to 1000 Bar. The PTM is a programmable pressure transducer. Please note that a specific programming unit is required to program a PTM from a computer. Please contact us for more information.